Okay! Finished book two of The Darkest Minds (with only a day to spare for A Series a Month) and I’m going to throw up a quick review before I get cracking on book 3, In the Afterlight. 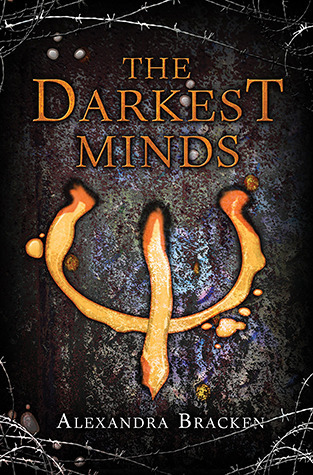 Unfortunately, I felt a lot of disconnect with this second book (you can read my review of The Darkest Minds here) and felt it fell kind of flat. Maybe it’s because I was really tired last night trying to power through it, or maybe it was the book, I’m not really sure right now. But I stayed up pretty late getting it done, and maybe that’s why I just wasn’t feeling it. I will say this- I’m really starting to love Vida. She’s brash and bold and all edges, but I know there’s a lot more to her than meets the eye. I’m reaaaaally shipping her with a certain character who shall remain nameless so no one yells at me for spoiling anything. BUT YOU KNOW WHO IT IS. I think this review is less of a review than a confused rambling- I’m not sure where I’m going with it. To be perfectly honest, I don’t remember a lot of what happened, and it seemed like a lot of things were really anti-climactic, like the fight with Mason and them seeing the Slip Kid. I expected just a little bit more, so the disappointment was just a little bit more sharp. But I did like it. I thought it was very well done, especially writing-wise. Although I personally skimmed some of the random details and setting, I know a lot of people really love that. I’m more of a sparse reader- I like to get right to the action, and that gets me in trouble sometimes because I’m a huge skimmer. 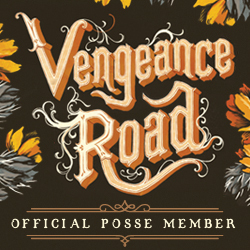 So I guess I was kind of on the fence with this one, but since I loooooove Cole and Vida (no, he’s not the aforementioned person that needs to remain nameless) I’m definitely going to read book 3. I did like Never Fade, but I think I wasn’t in the right mood to really enjoy it this time. I just hope I can get the series all done before tomorrow night! I finally finished my first book for the Series challenge! I’m almost positive I’m not going to finish the whole series before the month is over, but I’ve been doing pretty good reading this month, at least. I finish my TBR book for January, which is exciting, and I’m going to have the house to myself this weekend, so that could be promising for some serious reading! But anyway, I wanted to throw up a review of The Darkest Minds, the first book of Alexandra Bracken’s series of the same name. Okay! I finally read The Darkest Minds, and it only took me three years to do it. Three cheers! Well, I’m happy, anyway. So, I gave it 4 stars for mainly this reason: I thought it was a great book, really chunky and interesting (I binged it in a day), but I was really confused through a lot of it. I couldn’t figure out why she was so upset about being what she was. I thought it was really cool, and an advantage, but about halfway through the book when you find out what her powers did, I understood. But I didn’t quite get it at the beginning. Also, the action sequences came hard and fast, which I would usually love, but since my brain was still trying to figure out what Ruby’s deal was, I ended up being confused even more. Of course, I was also sick, and that could have contributed to it. In any case, I did really like this book, especially when I got everything straight in my head. I loved the slow-burn romance (I am NOT happy about the ending), I loved the secondary characters- Zu especially- and I didn’t predict much of what happened. There were some things that you could kind of see coming, but I’m not one for trying to figure out a book before I read it- I just let the book carry me along, for the most part, unless it’s super obvious. So I liked that part of it. I thought all the character development, especially Ruby’s, was really good, and I can’t wait to see where Alexandra takes her in Never Fade, book two. That was another bonus for this book- it was exciting, fun, had a romance, but there was nothing to make it inappropriate for younger teens. Aside from some violence (which was never graphic) this book was clean and appropriate for everyone. I would recommend it even for younger teens who are looking for a thicker book that tackle. So there it it! Book one is done, now on to book two! A SERIES A MONTH: JANUARY! I’m really hoping I get off to a great start with these four (and don’t worry, I have the author’s order for the novellas in between!) Happy 2016, everyone! Another traveler has stolen an object of untold value from them, and, if Etta can find it, they will return her to her own time. Out of options, Etta and Nicholas embark on a perilous journey across centuries and continents, piecing together clues left behind by the mysterious traveler. But as they draw closer to each other and the end of their search, the true nature of the object, and the dangerous game the Ironwoods are playing, comes to light — threatening to separate her not only from Nicholas, but her path home… forever. Personally, I’m pumped! Even though I haven’t read A.B.’s Darkest Minds series, I’ve heard a lot of good things about her writing and storytelling. And when you combine music, pirates, and time travel, you’ve got an automatic fan! I’m really excited to see how this one plays out- there’s a lot of possibilities, and I’m trying not to let my expectations get too high, but I’ve got my eye on this one and can’t wait to read it when it comes out in January. What’s your Waiting On Wednesday? 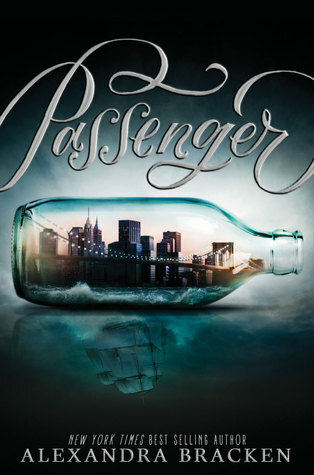 Are you looking forward to Passenger?